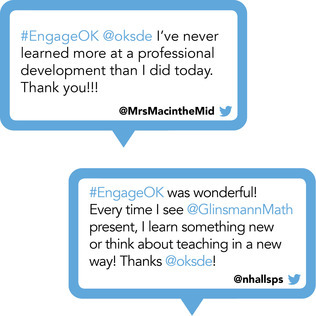 OKLAHOMA CITY (July 25, 2017) – The Oklahoma State Department of Education (OSDE) recently concluded EngageOK on the Road, and attendees are giving the summer conference an A+. 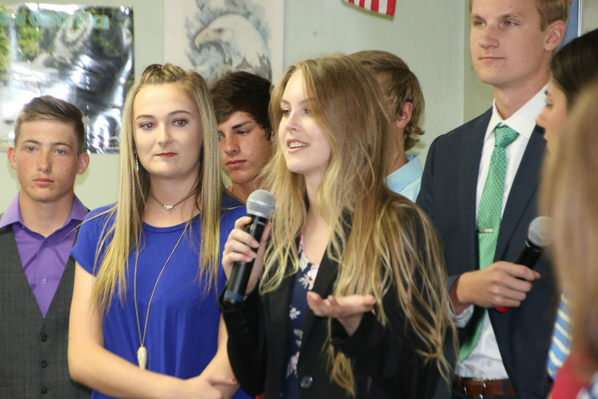 The one-day conferences took place July 10-20 at Yukon High School, Union High School in Tulsa, Enid High School, Weatherford High School, Durant High School, Ada High School and the Cache 5th and 6th Grade Center. EngageOK on the Road provided more than 100 sessions of professional development at no cost to educators. Total attendance was more than 7,000, surpassing last year’s figures by more than a thousand. A new session this year, What Students Wish Their Teachers Knew, was among the most popular. Led by a panel of local students, the session exceeded capacity at most sites, leaving overflow crowds standing, sitting on the floor or watching the livestream from another room. Panelists discussed a number of topics, including what makes an effective teacher, advice for a first-year teacher and how critical it is for teachers to know, understand and care about their students. State Superintendent of Public Instruction Joy Hofmeister moderated the panel. Other popular sessions covered topics like the Reading Sufficiency Act (RSA); Oklahoma’s new assessment and accountability systems; Individualized Career Academic Plans (ICAPs), which will be piloted in 26 districts in the 2017-18 school year; and working with traumatized and high-need students. Attendees gave EngageOK on the Road high marks for usefulness and inspiration. For the second year in a row, the agency was able to save hundreds of thousands of dollars and reach more educators by taking the conference to regional sites in lieu of what for years had been a more traditional, multi-day conference in downtown Oklahoma City. The 2015 conference in Oklahoma City drew about 4,000 attendees – about 3,000 below this year’s attendance. Attendance exceeded 2,300 at Tulsa Union, 1,300 at Yukon, 650 at Enid, nearly 600 at Weatherford, 700 at Durant, 750 at Ada and 580 at Cache. Of the attendees, 56 percent were teachers, another 44 percent school administrators. High-resolution pictures are available from each site: Yukon, Union, Enid, Weatherford, Durant, Ada, Cache.